Hey folks, Valkor here. And welcome to our first tech review of 2012, which then kicks off into our CES 2012 that you won't wanna miss. Why? Because we'll be giving you a unique look in and around the show, plus I'll be upping the ante by tossing in video, which I've never done before. Was any of that at all relevant to this review? Most certainly because the folks at Nero has always had a presence at CES, which is where my relationship with their company first started (waaaay back in CES 2007). When TOV last saw Nero, we got the chance to check out Nero Multimedia Suite 10 that earned a 4.5 in Val-Cave testing. Now I've got the chance to check out Nero 11 Platinum edition; does it stand above and beyond its brethren or shall it wallow in the pits of sorrow and woe? Nero 11 Platinum Edition is aptly named because within its confines rest the hearts of eleven programs waiting to be unleashed upon your system. What is it that Nero 11 can do for you? Just about everything multimedia related – from burning discs, encoding, editing, backing up, data recovery, and much more. Plus they've revamped the old and added some new items, all within a nicer, neater interface. 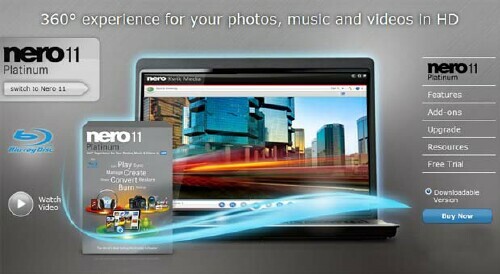 To access the bulk of the multimedia stuff you need simply click on the "Nero Kwik Media" icon where you can video/edit images, create slideshows, and watch movies. 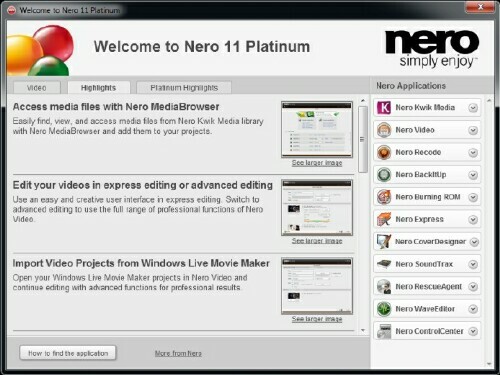 Others items that appear on your desktop includes Nero BackItUp 11, Nero Burning ROM 11, and Nero Video Editor 11. The rest you can access from the start menu. While the bulk of Nero 11 hasn't changed too much since 10, let's focus on the new and improved features of the suite. Nero Video Editor 11 – While the folks at Nero may tout that their video editor is easy to use, it actually does have a bit of a learning curve to it. It's not steep, but for the uninitiated, it does take some getting used to, which I have and the bulk of the video on TOV's YouTube page has been edited using Nero Video Editor 10. Well the folks at Nero have added an even simpler function with "Nero Video Editor 11" as they've included an "Express Editing Mode". This strips away the multi-track functions of the main editor and gives it a simpler, more storyboard feel. 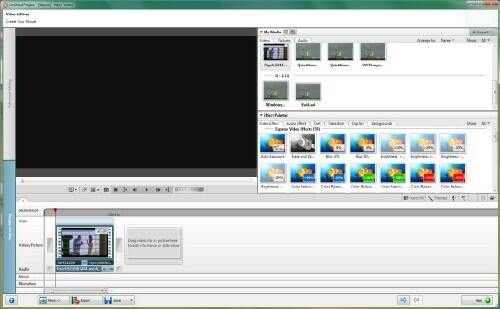 Think Windows Movie Maker (if you've ever used that editor) and you'll get the idea. This is great if you wanna put something together with the quickness without having to deal with all the ins and outs of the multi-track. Plus they've gone and added a ton of new effects, filters, and templates to play with, which now includes a tab for "Audio Effects". Audio Effects can be used to edit your video's audio by adding sounds, playing with the bass and treble or utilizing the noise reduction. Nero BackItUp – BackItUp as its name states performs a backup of your entire drive and can then store the info to an external device or burn it to a DVD/CD. BackItUp adds to the mix LiveBackup, which constantly monitors and automatically backs up your hard drive for you on the daily. Just insure you have a device that has enough space to do so. You can also perform a specific backup that also includes "Kwik Media Library" backups as well as specific file/folder backups. Nero ReCode – One of my regular chores here at TOV involves re-encoding video, which stemmed from the fact that I have issues with MOV files because my current camera only outputs video in this format. So if I shoot video at any event, there's gonna be hefty encoding waiting for me when I get home. Nero ReCode simplifies that process making it fast and easy to encode large files into the format I desire. Plus they've added support for Android, iPhone, iPad, PSP, among other devices. And video can now be encoded into just about any file format, which also includes support for MKV files (nice!!). 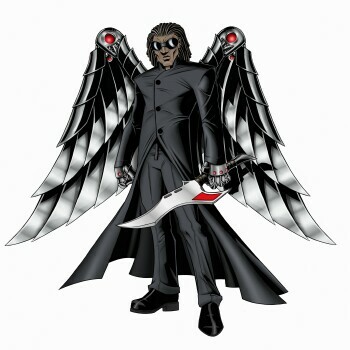 And we can't forget what Nero is most famous for – Nero Burning Rom, the ultimate software disc burner on the planet without question (well maybe some question, but I prefer it). I know this is just before the whole "Bang and Slack", but if you don't know how awesome this software then you'll now because it's the best there is. Disc burning is what put these guys on the map and they've only gotten better at it since. To top it off they've gone and added SecureDisc Surface Scan 3.0, insuring the quality and reliability of the disc so that your content lasts for a very long time. 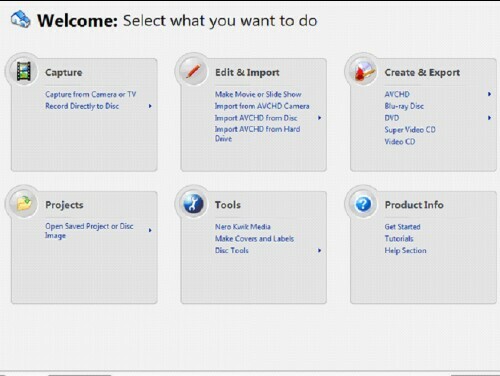 Other features include wirelessly syncing media to mobile devices, Blu-Ray playback, adds a media browser with Kwik Media, sound editing, I can't forget RescueAgent, which helps you to recover files that may have been lost on damaged media such as a scratched disc, plus a host of other features. Now I've sang the praises of Nero Burning Rom, however I need to remember that it's part of a package. And as a whole we'll see how well it did in the TOV Breakdown. There was one feature missing from Nero 10's image editor and it's still missing now - it's an image resizer. Right now I use Vueprint for that, but I think it's a feature all image editors should have. Why? resizing an image, especially from a photo you took with your digital camera, reduces the file size. And if you love to upload images on Facebook, you'll see you can upload quicker if you can resize the image. Also, there's no video fade in/out with the video editor. There are tons of transitions, but that one is kinda of important and it can be fixed with a simple update. Finally, this is supposed to be a media suite where I thought everything would be located under a hub, but everything is scattered. Not hatin, just sayin. 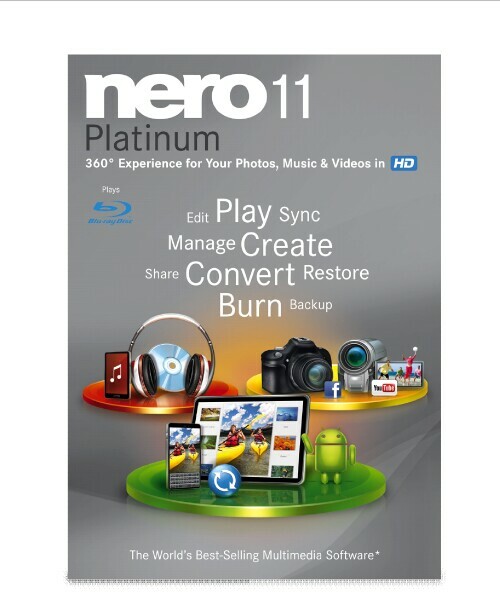 Nero 11 Platinum Edition is available now, plus you can also get it in a standard edition if you'd like to save some cash. This suite offers a simpler, sexier package than Nero 10 tossing in a host of new features and improvements that makes Nero 11 a clear winner in the Val-Cave. And out of TOV 5 stars, I'm giving Nero 11 Platinum a 4.5 and it's been Valkor tested, TOV Approved. The Bang: Awesome suite with excellent additions and improvements!